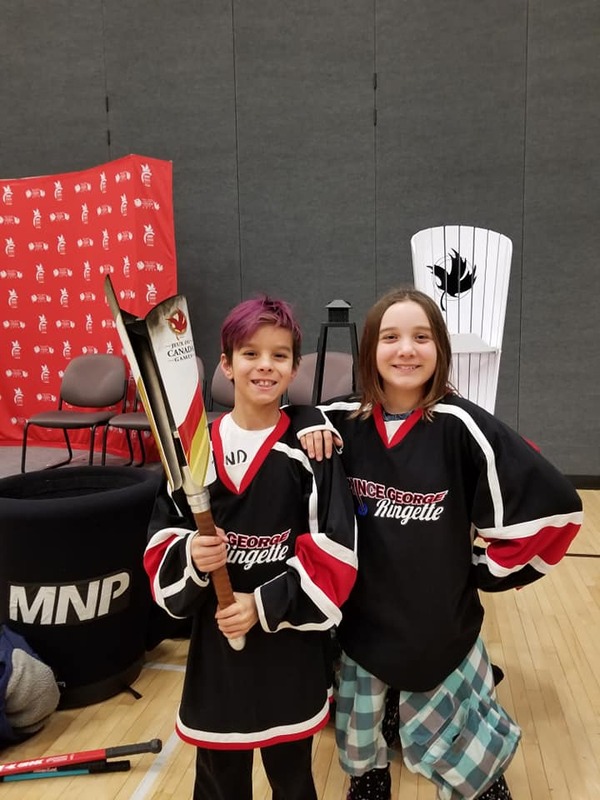 PG Ringette was out to represent in the 2019 Canada Games Torch Relay. Many of the players joined the relay team for the entire route in PG and then took a time out for some fun and games. Even a friendly game of 3 on 3 with some powerful players.